A few weeks ago, our 2007 Mazda CX-9 Grand Touring model started doing something rather peculiar. When we turned-off the vehicle, the rear cabin fan would power-on at full-blast speed and continue to run for a few minutes. The blower would operate as expected when the vehicle was running; it was just this odd behavior when the ignition was turned-off. 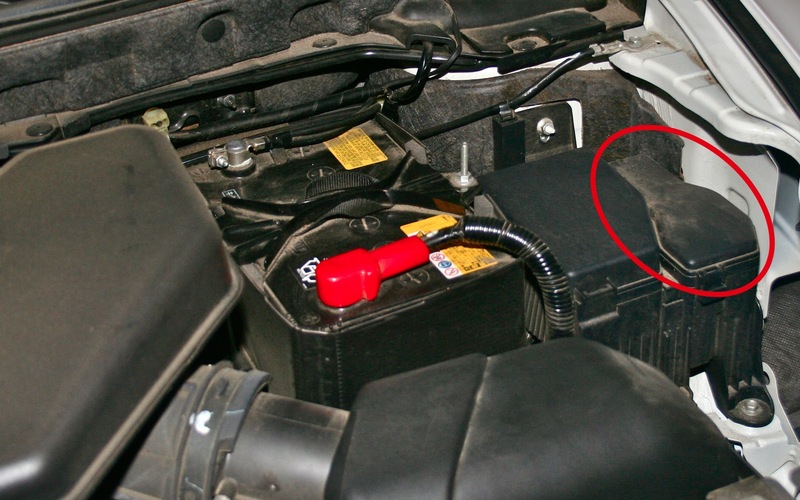 A quick web search revealed that this seems to be a fairly common problem for Mazda CX-9 vehicles that were made between 2007 and 2009, and it's probably why you wound up finding this blog post. There is a Technical Service Bulletin ("TSB") from Mazda concerning this problem: TSB 07-008/09, 2007-2009 CX-9 - BLOWER MOTOR STAYS ON AFTER KEY OFF. The TSB details the replacement of the blower relays, Mazda Part No. G115-67-730. There are two; one for the front (dashboard) fan and one for the rear (center console) fan. This is not a very complex repair. However, that does not stop most Mazda dealerships from generating a handsome profit from the typical customer's repair fears. We have learned that other CX-9 owners have paid $150 or more to their dealer and lost a good part of their day to have this repair done. We would like to show you how to do the very same repair for about $30 or less in a matter of a few minutes. ANYONE can perform this easy and inexpensive repair. You do not need any mechanical training or special tools. A simple pair of pliers are all that is needed. Just follow these three steps. 1) Confirm the problem. Okay, this seems kind of silly, but you should make certain that the problem we are explaining how to fix is really your vehicle's issue. When you turn-off the ignition on your 2007, 2008, or 2009 Mazda CX-9, does the front or rear cabin blower fan suddenly turn-on and then run for a few minutes? Problem confirmed. Proceed to the next step. 2) Purchase replacement relays. Surprisingly, there are a limited number of sources for these electrical components. What's even more surprising is that we found the best price from a Mazda dealership! If you live close to a dealer, phone their parts department and ask them for the price of Mazda Part No. G115-67-730 (Blower Motor Relay). If they want to charge you more than $15 each, consider making the purchase online. We found the best price from a Mazda dealer in Arlington, Virginia; Rosenthal Mazda. They sell the relay for $12.68 each with reasonable UPS shipping costs. We ordered the parts late one evening and received them in the afternoon two days later. CLICK HERE to go to the part listing on this dealer's online store. Here is a photo of what you should have purchased and received. You will need two relays; one for the front blower and one for the rear blower. Even if only one fan is acting-up, we recommend that you replace both. The parts are inexpensive and the repair is easy. Fix them both while you have the hood open! We also found these blower motor relays for sale on eBay. However, they were used parts and we cannot recommend that you purchase a used part for this repair. When a brand new relay can be purchased for such a low price, why bother with a used part that is likely to fail quicker? 3) Replace the defective relays. This step is best demonstrated through a series of photos. Open the hood to the engine compartment and look to the far-right, near the firewall (top right corner). 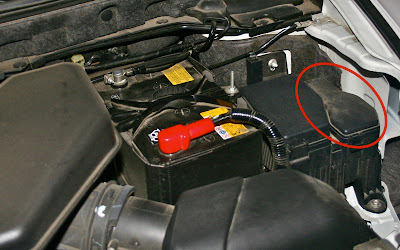 There you will find the relay box; the plastic box circled in red in the photo above. Press the latch on the front of the box to release the cover and expose the parts within. Take a look at the inside of the cover after you remove it. Here you will see the layout of the various relays that are housed within this box. Note the location of the two Blower Motor Relays (F. BLOWER RELAY and R. BLOWER RELAY). Firmly grip the sides of the Blower Motor Relay with a pair of pliers and using a slight side-to-side motion, carefully loosen the relay and pull it from its socket. Repeat for the other Blower Motor Relay. Insert the replacement relay into the vacant socket. Be certain to align the relay's tabs correctly. 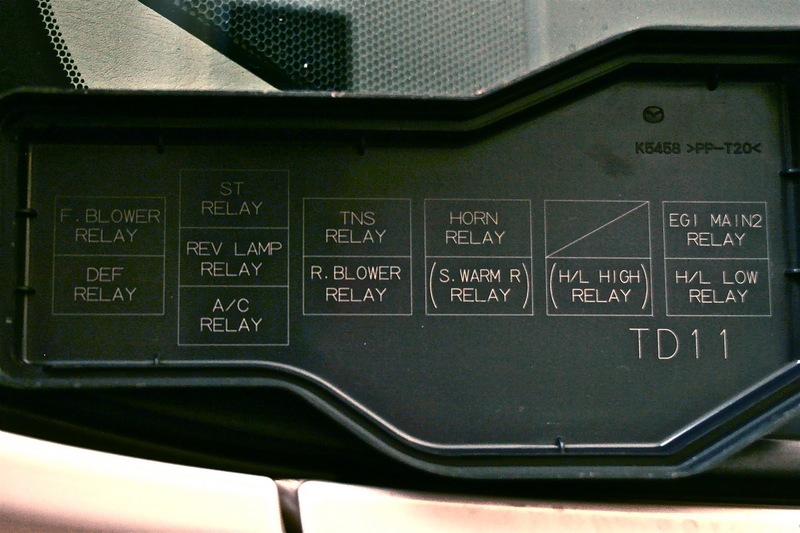 The relay's tabs are oriented such that the part will only fit when positioned correctly. 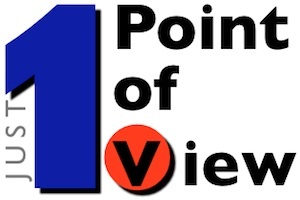 If it does not seat with a firm push, make certain that it is properly aligned. Repeat for the other Blower Motor Relay. Once both relays have been replaced, place the cover back on the box and make certain that it is secure. Close the engine compartment hood and wash your hands... you are done! Wasn't that easy? Seems easy enough. I'm going to try this myself. Thanks for the info and photo walk through. I'll let you know if it works. Thank you for this information! I just called and these parts are much more expensive here (Phoenix), but I need to get them done so I'm willing to pay for it. It still cheaper for me to fix it than have the dealer do it. Thanks again! Just what I needed to know...our dealer is only charging 62 for work and 15 for part, but this is easy and more convenient. Thanks! Before I found this info I called the dealer and was told it wasn't very expensive, it wouldn't be "over $300." I told him that his and my ideas of "not very expensive" were very different. Thank you. It has worked from me as well. Just found these for under $6 a piece at Bob Baker Mazda in Carlsbad, CA. Here's their link...http://www.bobbakermazda.com/index.htm. Thanks for this useful tip! this is great ,trying to order the parts now.Thanks for saving us some money! Illinois dealer quoted me $10 per relay, plus 1 hour of labor installation for $150. With this great article, I completed the repair myself in 5 minutes and saved the $150. Thank you. I had this problem 3 months ago when I bought the car used but since it never happened before, I let it go. It happened again today on the front blower. I checked the box (based the details you provided) and the back blower appears to have the new part, as that one is blue, but the front one, it was still black so definitely will replace. I will replace both just to be sure. Thanks again for such a straight forward explanation, and I want to thank you for the pictures. You saved me a lot of money. I just ordered the relay switches from Rosenthal Mazda, Arlington, VA. Are $14.97 each. I used to live in DC and Rosenthal was the dealership I always went to. What a well run business. Thank you so much for posting this, I was just going to live with the blower blowing, probably not good for the battery, but since you posted how inexpensive and easy it was to make the repair, I decided to go for it. Thank you for the detailed info and for taking the time to post it! I just ordered the parts from the web site you suggested. My dealer wanted $26 for each relay and my 09 Cx-9 is no longer under warranty. Quick question -- the part comes up on the website you listed for 2011 models. I can't seem to locate that part for CX-9. Is it the same for all Mazdas? Anonymous (May 21, 2012) - When searching for this relay online, you can ignore any reference to the car model or year. You only need to be concerned that the relay part number itself matches. The same fan motor relay is likely used in several different models and across years... possibly even across vehicle manufacturers (i.e. Ford and Mazda's relationship). I wish we had more insightful sites like this! saved me a day of dealing with dealer plus $150! you rock! Thank you so much! You just saved me $100! Excited to find this information. Can't wait to cancel the appointment tomorrow with the dealership and to just get the parts. Thank you! Hi. Got a pair for $40 in mazda dealer in fort lauderdale florida. The odd thing is that the sticker on the bag reads " genuine part mazda -made in Japan " but the relay says " made in portugal". Are they allowed to do that? Same experience here: Mazda dealership indicated there's a new part number (L1Y1-67-730) with a lower price ($8). Popped it in and the problem went away. Thank you so very much for this post. You would think with all of us that have found this site that there are many more out there that haven't. That this issue would resort into a recall. Bad Mazda for not taking care of this issue for us. Again this post is much appreciated. Great post. Easy instructions. Thanks for taking the time to inform the CX-9 community. Thank you so much! You just saved me. I wish we had more insightful sites like this .i work for a used car dealer. Thanks very much from Saudi Arabia, hopefully the dealers have have these relays. Thanks. Just did it myself. Got em at the service center here in Jeddah Saudi Arabia. Cost about $8 per relay! Got 2 of the L1Y1-67-730 for under $5 a piece at my local Mazda dealership(Pearson Mazda Richmond, VA). 2 minutes to replace. Awesome! What a completely strange issue, I had no idea what was going on with my car...I will enlist a friend to install the ordered part. I have a 2008 CX-9. Thank you! Morrie's Mazda in Wayzata, MN has the parts on hand for $6.50 each. I can't thank you enough for posting this detailed article. I'm a single mom with 4 kids and couldn't afford to take my car in to the dealership to be fixed. I was able to go get the part from the dealership and put it in myself. Much appreciation. Thanks for the info. Up in Northern Alberta I got the parts for $13 each (for oil and gas country that pretty cheap!) shop rate is over $110 and hour so you saved me a ton. Cheers.